Looking for movie tickets? 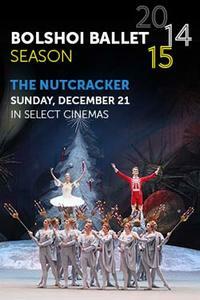 Enter your location to see which movie theaters are playing Bolshoi Ballet: The Nutcracker (2014) near you. Experience the excitement and beauty of world-class performances when the Bolshoi Ballet’s The Nutcracker is broadcast to select cinemas nationwide on Sunday, December 21. On Christmas Eve, Marie is given a wooden nutcracker carved in the shape of a little man. At midnight, when the celebrations are over, all the toys magically come to life. The nutcracker grows to human size and takes charge of the tin soldiers, flying to the rescue of Marie, who is threatened by the Mouse King and his army.